I’ve been trying to eat more veggies and when I was offered this book if I’d do a review the answer was an easy YES! 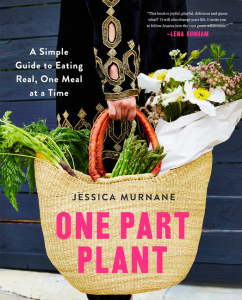 The suggestion and request of the author, Jessica Murnane, is to start with just one plant based meal each day. 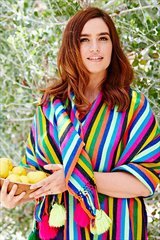 Jessica switched to a plant based diet to manage symptoms and avoid surgery for endometriosis and while it includes information about this it’s not specifically what the book is about. Recipes use ingredients without gluten, and if you look at the calories in many plants we eat you’d probably see how this could help you to lose weight but it’s not a diet book either. The book is really “A Simple Guide to Eating Real, One Meal at a Time”. Includes a lot of good information for anyone interested in eating more veggies, fruits, seeds, nuts, and grains. The section on pantry items has good information, some that I didn’t know and good ideas on ways to use these ingredients which I really enjoyed reading. There’s a nice variety of recipes so I’m sure there will be some you will like. There are many that I’ll be trying. You can view the table of contents and index through Amazon before buying to get an idea of what recipes are included. Want to know more? Below is more information about One Part Plant, where you can buy it, and how you can connect with Jessica online.